HomeBLOGKidney Transplant from Living HIV-positive Donor to HIV-positive Recipient: What Does this Mean? Kidney Transplant from Living HIV-positive Donor to HIV-positive Recipient: What Does this Mean? Surgeons at Johns Hopkins University in Baltimore performed the world’s first kidney transplant from a living donor with HIV to a recipient also living with HIV on March 25. The transplant was made possible by the HIV Organ Policy Equity (HOPE) Act passed by Congress in 2013. The HOPE Act ended a moratorium on using HIV-positive organs for transplantation, authorizing the transplantation between matched pairs in which both the donor and recipient are HIV-positive. However, such transplants are currently only allowed among participants under a clinical trial at an approved organ transplantation center according to guidelines issued by the National Institutes of Health in 2015. Until now, all organs donated to HIV-positive recipients participating in these clinical trials had come from deceased donors with HIV. (There have been more than 100 such kidney and liver transplants since 2016, according to the Organ Procurement and Transplantation Network.) Last month’s kidney transplant was the first from a living HIV-positive donor. While healthy organs from deceased donors save and improve lives, kidneys from living donors generally last longer before the need for a subsequent transplant. 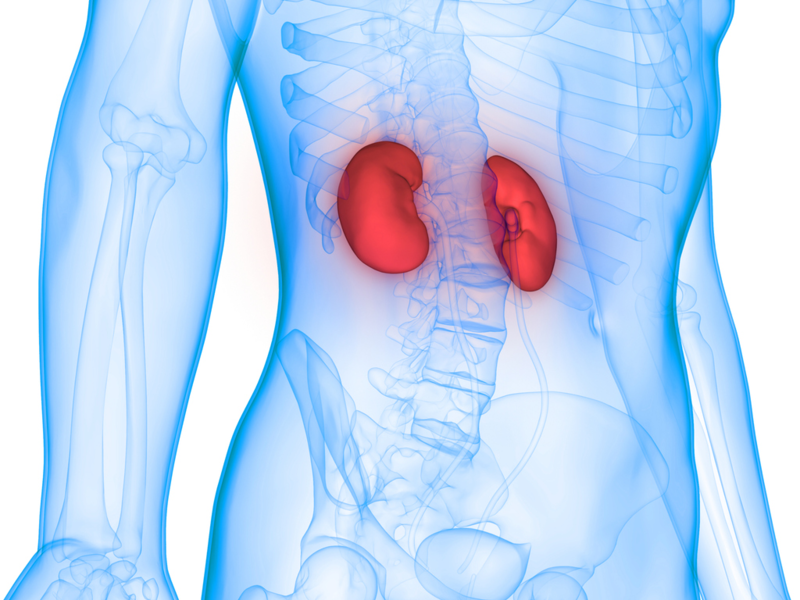 There are significant numbers of people living with HIV who are potentially eligible to become living kidney donors, said Dorry Segev, MD, PhD, who was the lead surgeon on the procedure last week, in a Johns Hopkins news conference. As such, researchers are closely following the outcomes of this and other transplants enabled by the HOPE Act. End-stage organ (kidney and liver) diseases among people living with HIV are on the rise as people with well-treated HIV disease live longer. As a result, the need for organs available for transplantation has intensified, however donor organs are consistently in short supply. The doctors at Johns Hopkins estimate that there could be as many as 10,000 people in the United States living with HIV on dialysis and with end-stage kidney disease who may need a transplant. While people with HIV can and do continue to receive organs from HIV-negative donors, transplants between people with HIV may reduce time on the waiting list for these recipients. Further, as more people living with HIV become organ donors, the overall pool of available organs will increase, benefiting all people on the waiting list regardless of HIV status. More than 113,000 people are on the transplant waiting list in the United States as of March 2019. “As patients waiting for a transplant see that we’re working with as many donors as possible to save as many lives as possible, we’re giving them hope,” observed Christine Durand, MD, associate professor of medicine and oncology at Johns Hopkins, in a news release. The findings from the HOPE Act research are encouraging and could one day make the option of organ transplantation from HIV-positive donors to HIV-positive recipients more widely available. National Donate Life Month is observed in April. Learn more at www.organdonor.gov.